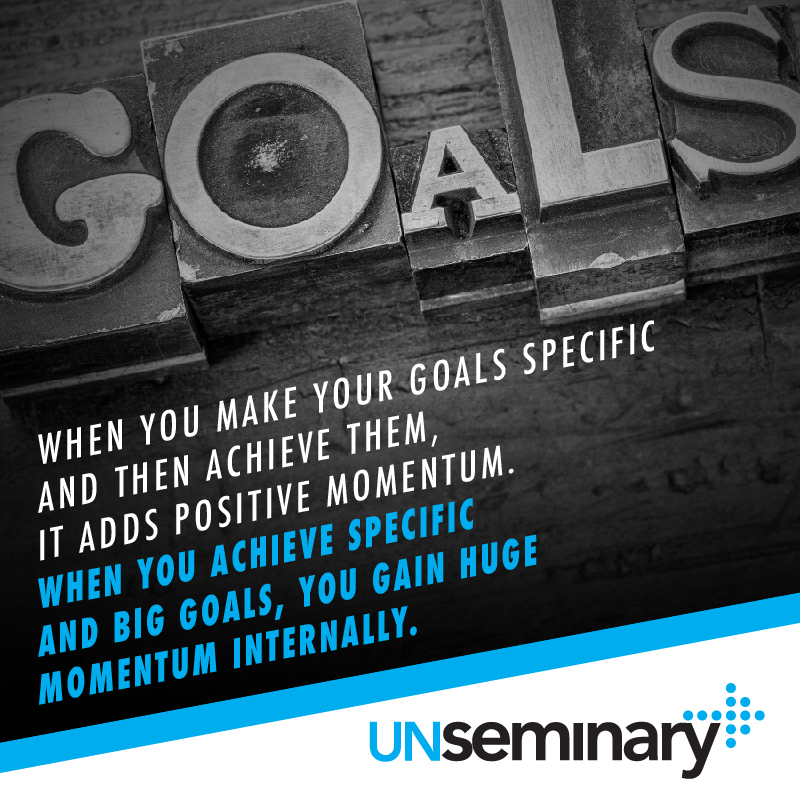 What goals have you set for your ministry? Before you jump in and start setting goals, think through which types of goals you should consider. In The One Thing, authors Gary Keller and Jay Papasan talk about how leaders need to set “big and specific” goals. 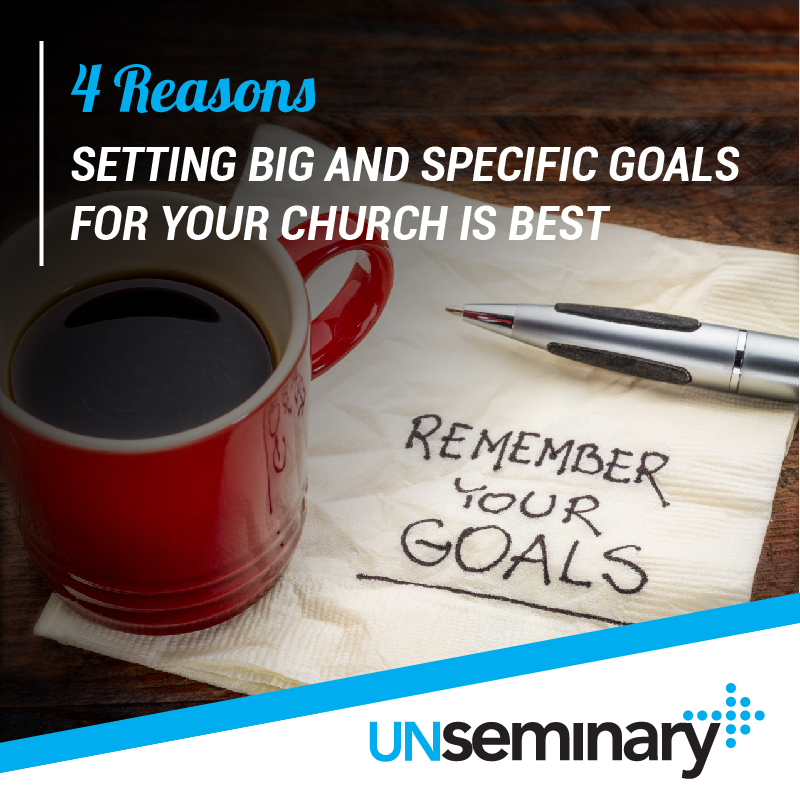 I’ve reflected on this handy rubric for thinking through the goals we set for our churches. 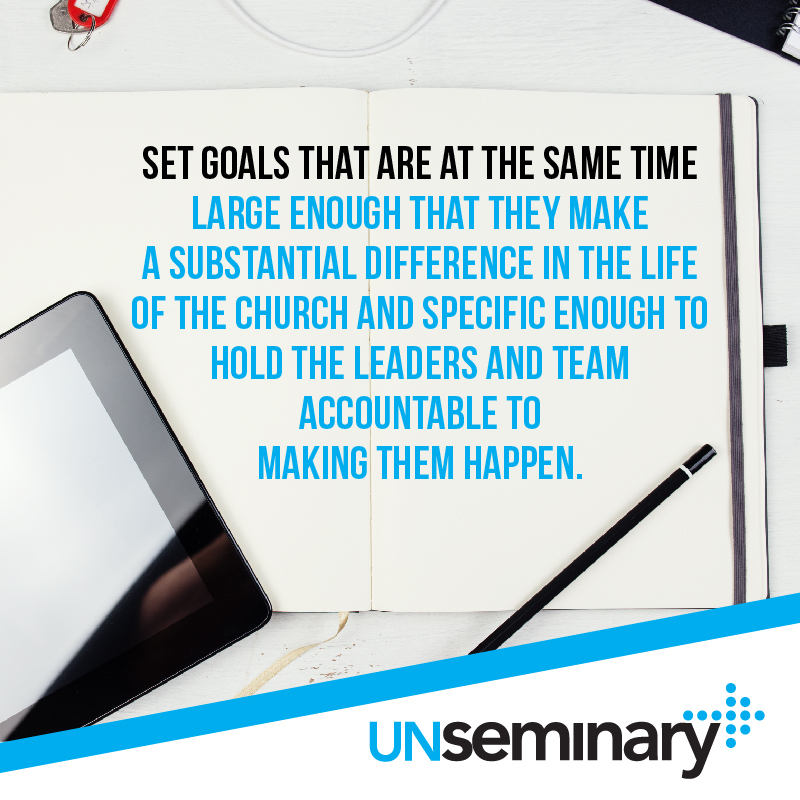 The simple (but profound) idea is this: Set goals that are at the same time large enough that they make a substantial difference in the life of the church and specific enough to hold the leaders and team accountable to making them happen. Incrementalism is the enemy // 94% of churches are losing ground against the growth of the communities around them. Small and specific goals that you are sure your team can achieve blunt their impact. Stop thinking small … dream big for where your ministry might go next! Vagueness leads to no impact // Andy Stanley once said, “As leaders we can afford to be uncertain, but we cannot afford to be unclear. People will follow you in spite of a few bad decisions. People will not follow you if you are unclear in your instruction. As a leader you must develop the elusive skill of leading confidently and purposefully onto uncertain terrain.” Broad goals are unclear because they are hard to pin down how they apply. Broad goals are vague — and people don’t follow vague leaders. People want it to count for something // You’re asking volunteers to give up their most precious limited resource: time! You’re asking your staff to give up working for something else that would probably pay them more. You’re asking donors to sacrifice personally at some level by choosing to give to your church rather than spend their money on themselves. People love contributing but they want to know that their contribution is making a difference. Big and specific goals give weight to the actions of an organization and rally people to them. Momentum is gained through wins // Organizational momentum is just a series of wins adding up to push things forward. When you make your goals specific and then achieve them, it adds positive momentum. When you achieve specific and big goals, you gain huge momentum internally. People love being a part of a winning team so pick goals that are big and specific — and then celebrate them when they are achieved. That sort of momentum is almost magnetic!